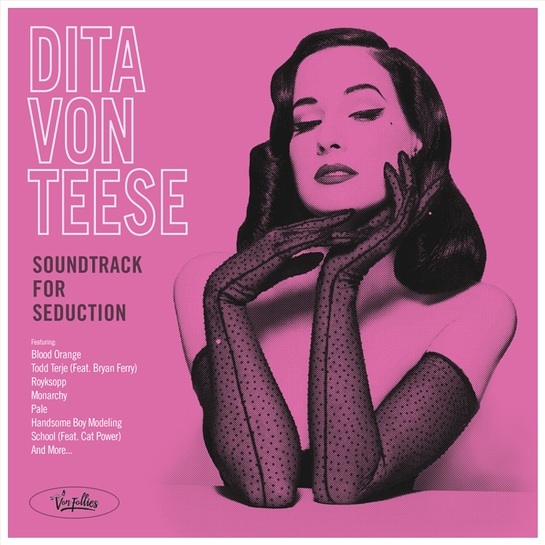 Starting Valentines Day Sunday, February 14, 2016 thru March 14, 2016, the limited edition vinyl release of “Soundtrack For Seduction” from Dita Von Teese will be available for purchase at www.12on12.com/ditavonteese. Dita will be donating a portion of proceeds from the “Soundtrack For Seduction” vinyl sales to The Burlesque Hall of Fame, a place near and dear her heart to help preserve her unique collection and support their growing audience The Burlesque Hall of Fame is the world’s premier organization dedicated to preserving the living legacy of burlesque as an artform and cultural phenomenon. With a collection of several thousand costumes, stage props, photographs, and personal effects documenting the careers and lives of burlesque dancers, comics, and producers over nearly a century, the museum is a growing testament to the power and social impact of the art of the tease. The cost of the album is $20 for the standard version. 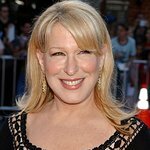 In addition, there will be special versions available including autographed ($50); ‘kissed’ ($100); and a personalized dedication version ($150). Watch this video as Dita discusses her song selections, the true meaning of glamour, iconic celebrity encounters and much more! Dita partnered with 12on12 for this exclusive vinyl which includes previously unreleased, rearranged tracks such as, “Anastasia / Dita’s Theme” and “Let’s Do It (Let’s Fall In Love)” performed by Chuck Henry. At her burlesque shows, Dita regularly performs to these songs and now fans can recreate their own burlesque routine at home. 12on12 is an exciting new album concept that invites celebrities, musicians, movie stars, social media influencers, professional athletes, and inspirational figures to curate their own limited-edition compilation vinyl record, made up of 12 special tracks that mean something to them. Together with original commissioned artwork and personalized liner notes written by the celebrity artist to explain their choices, these vinyl albums will be made on a custom, limited-edition basis. After a 30-day pre-order period, each edition will only be available on the re-sale market, making them the ultimate collector’s item. 12on12’s inaugural release is Dita Von Teese’s “Soundtrack for Seduction” on February 14, 2016.